Description Well-illustrated review of Argentina in the 1972 Taça Independencia. 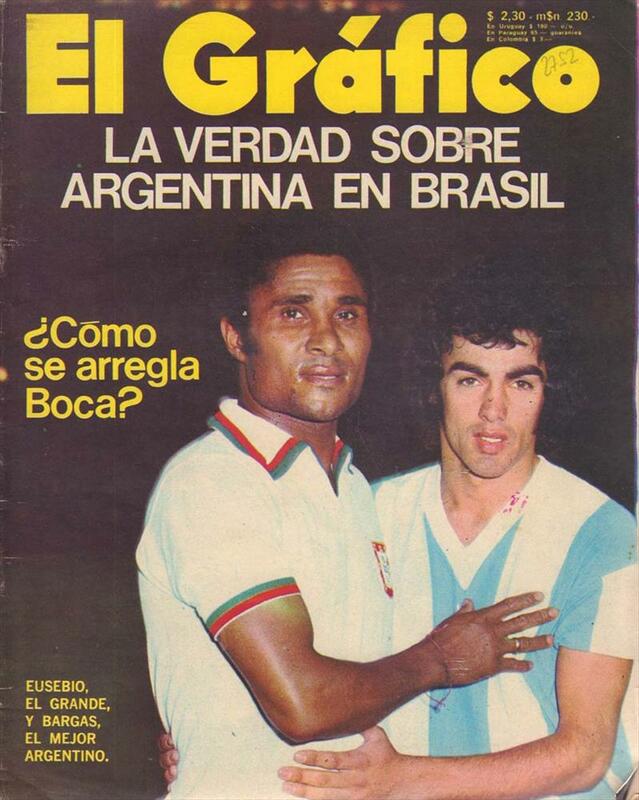 Cover features Eusebio and Argentinen star player Bargas. 28 x 22 cms, magazine, 74 pages.